Hawaii’s First Doggie Theme Park! 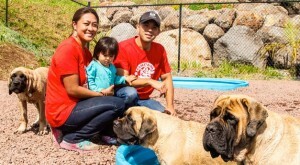 Kama‘aina K9 Adventures, based on 2.5 acres in the Kunia mountainside, is Hawaii’s first doggie theme park. 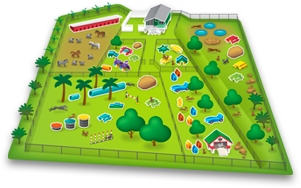 Our innovative outdoor facility features six different adventure parks, including a jungle park with pools, miniature city, puppy park, tiny tot park, agility park, and petting zoo, all with a million dollar view! Our mission is to help Hawaii families create and maintain balanced K9 companions through socialization, exercise and structure. With large, safe, dog-friendly areas being so difficult to find on Oahu, we at Kama’aina K9 Adventures have built a unique day care and training facility that provides nearly unlimited space to sniff, splash, run, and explore. Every guest is treated as if they were our own, meaning we do not believe in confinement or kenneling. In fact, most of our guests are playing in our theme parks over 10 hours a day! We feature a friendly and highly trained staff. We support our military clients with a year-round 10% discount on all services. We do not discriminate – all breeds, intact or neutered, are welcome. Call for a facility tour today!